Bamboo is the king of green building and design materials. Though bearing physical similarities to hardwoods, it is actually a tropical grass. And while hardwoods can take 25 to 125 years to fully mature, bamboo only takes 3 to 5. Usually, bamboo receives a 1350 rating on the Janka hardness test, a rating similar to red or white oak, but some manufacturing techniques can weave bamboo to a rating of nearly 3000—more than rock maple, hickory, or Brazilian cherry. 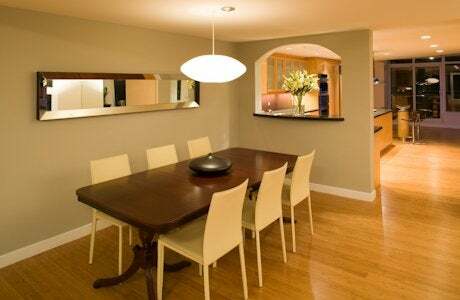 Conveniently, bamboo can take a wide range of low-VOC stains and sealers, which makes it easy to integrate into any decor. Cork flooring is made from stripping the bark of cork oak evergreen trees. 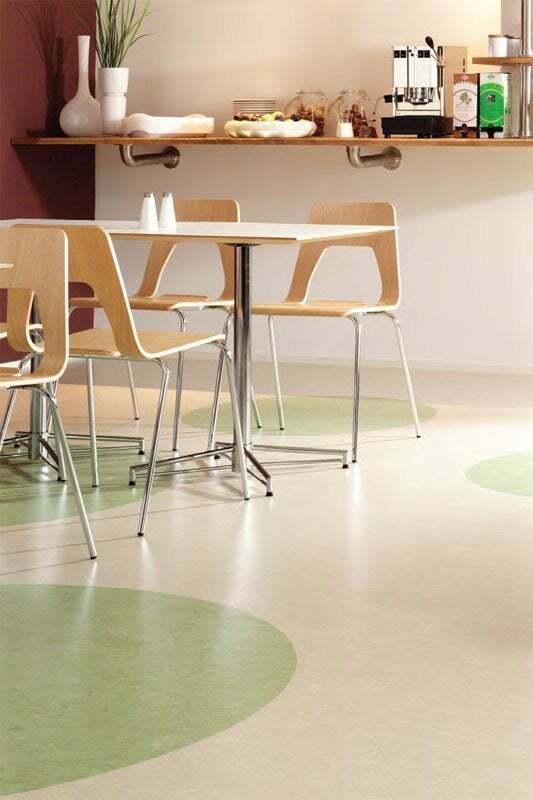 Since the bark replenishes itself every 8 to 10 years, cork flooring is a sustainable option. Some cork flooring manufacturers have raised the material’s ‘green’ quotient by creating products from post-industrial recycled materials, such as scraps from wine-stopper production. Linoleum is a tile made from natural linseed oil mixed with wood fillers and resins. While most “linoleum” has been replaced on the market by PVC-based products, there are lots of high-quality, green-certified linoleums out there, which are 100% biodegradable and whose production releases zero toxins. Real linoleum, properly installed, is extremely durable and excellent for those who suffer from asthma or allergies. Though it may evoke images of school classrooms, hospitals, and bad 70s kitchens, there are a surprising number of attractive linoleum solutions available. 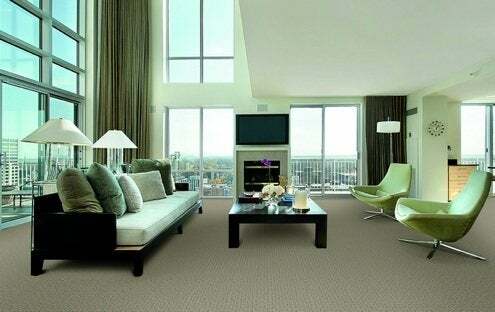 Renewable fiber carpets are LEED-certified options made from corn fibers. One example is DuPont’s Sorona renewable fiber (sold under the name SmartStrand); it’s soft, strong, and quite stain-resistant. This type of carpeting can be easily cleaned with just water, eliminating the need for additional cleansers that contain harsh chemicals. 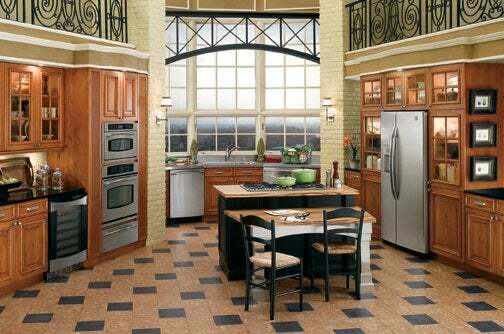 Linoleum Flooring: It’s Green & Gorgeous!